Apps do small and frustrating things every day that lead me to delete them. I feel no remorse. Once, I deleted a news app that delivered a push notification without deep linking to the corresponding content (maddeningly, it directed me to the home page). I didn’t feel like manually searching for something I wanted to see immediately. Another time, I deleted an app because interstitial ads constantly popped up in the middle of sessions. I deleted another because the app kept asking me to create a profile at inopportune moments. And others because I straight up didn’t understand how to use them. Maybe the navigation wasn’t intuitive, maybe I didn’t understand a certain component, or maybe I kept tapping elements that were never meant to be interactive. According to our research, up to 79% of users abandon an app after the first use. One of the most common reasons for abandoning an app? A poor onboarding experience. Details matter during onboarding. In a constantly evolving and competitive app ecosystem, capturing user attention isn’t always straightforward. Luckily, at Leanplum, we found a way to increase user engagement using product and messaging copy. This user onboarding hack involves getting a little creative and using the right power words in your UX writing and microcopy. At Leanplum, we analyzed over 2.6 billion push notifications to determine if single words could have an impact on engagement. It turns out, they can. In our 2017 Mobile Marketing Trends report, we reveal the most powerful words to use in your mobile messaging. Power words aren’t just for push notifications. In fact, there’s no better time to experiment with power words than when it matters most—during onboarding. Harness power words in your in-app messaging to boost the chances of successful user engagement. 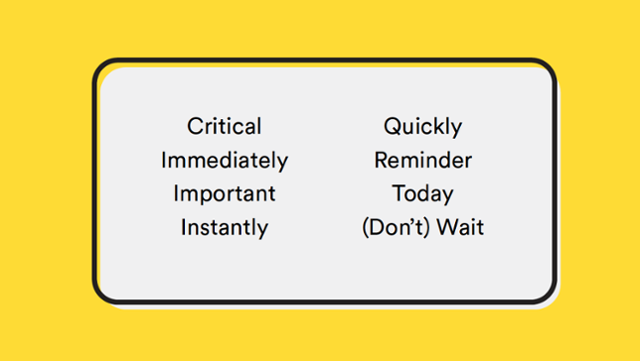 Below, I outline the best ways to use power words during the most critical moments of the first-run user experience. Mobile apps often ask users to create profiles at the most annoying moments. Avoid this mistake by offering to automatically pull credentials for users based on social login. This simplifies the profile creation process, while also letting you curate a personalized feed of content based on a user’s social interests, from the moment they log in. Alternatively, if you want users to jump right into exploring your app, postpone the profile creation until after a user finds value. For example, let’s say you have a travel app. You can let travelers browse trip destinations, then once they find a flight they want to reserve, ask them to create an account for easier bookings. Apps like Hopper, Tablet, and Hotel Tonight use this tactic to showcase their value and shorten the time to a user’s aha moment! 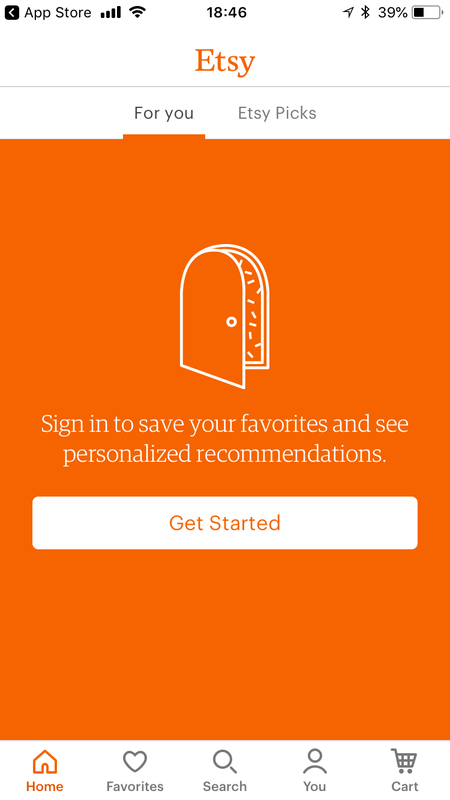 You could inspire users to action with copy like: “Found a deal you love? Activate your profile now to make booking a trip fast and easy!” By injecting a sense of urgency, you can light a fire that encourages users to create their account sooner rather than later. Most apps have content they want to promote. 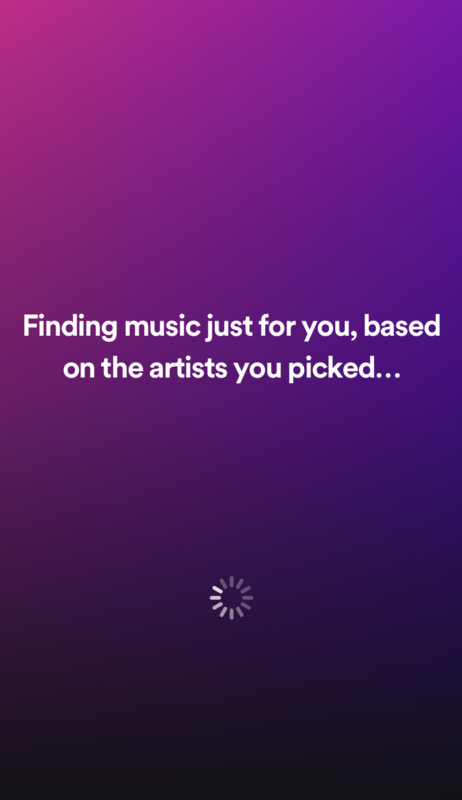 For instance, a hotel app might want to let users browse available rooms, a music app wants to help users discover new artists, a retail app aims to put new inventory front and center. Set up a series of in-app messages that guide new users through your app’s navigation. 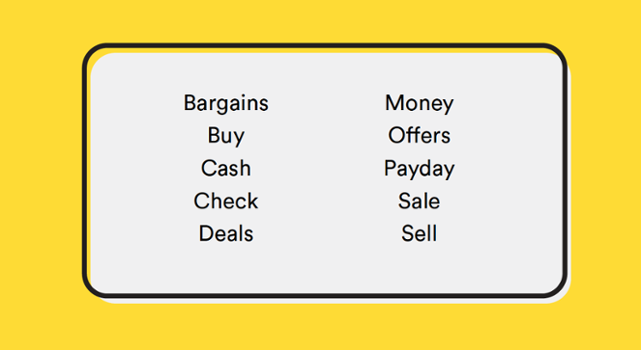 Explain app functions that may be unintuitive, such as where to find sale items or how to build wish lists. This can help you create a customized feed from the onset, and tailor future product recommendations. 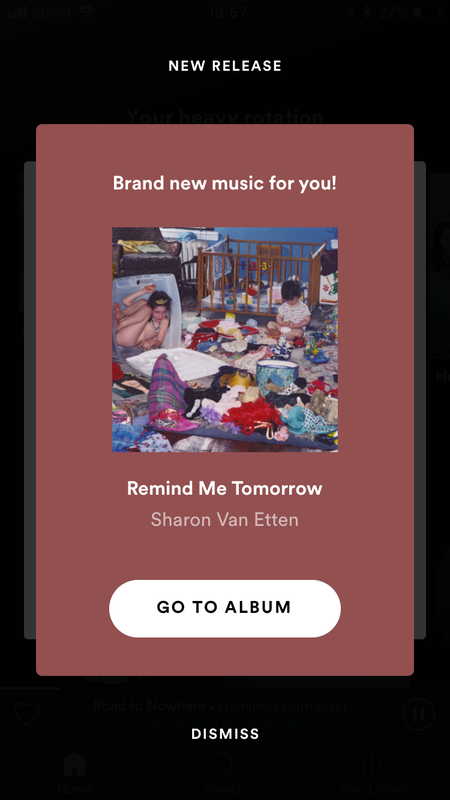 Spotify leverages power words in their lifecycle nudges to encourage listeners to discover artists they’ll love. Here, a little personalization can go a long way—like, a 4x increase in open rate kind of long way. Users don’t want to browse generic content that just anyone would like. They want to feel like their interested are being catered to with content that is exclusive to them. Try using these power words to create a more personalized onboarding experience from the get-go. 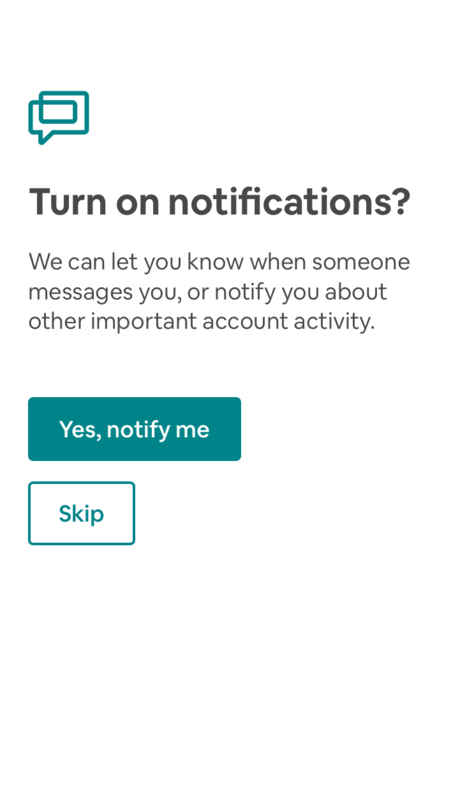 To communicate with users beyond their first app open, you need to convince them to opt in to push notifications. Unfortunately, only 40% of iOS users opt-in to push. Chances are, you won’t get many opt-ins if you display the default iOS prompt when users first open the app. Maximize your opt-ins with permission priming. Use a pre-permission message that suppresses the default iOS prompt and instead explains the benefits of push at a time when users are more engaged, such as when they discover new content or share something with a friend. We’ve seen apps increase the number of users who opt in by 182% with this method—which means they’re now able to market to a larger percentage of their user base, positively impacting retention, loyalty, and monetization. Instead of sending the default iOS prompt, try explaining the value of push notifications with product copy that encourages a 1-1 relationship. This often involves multi-channel messaging through push notifications, in-app messages, email, App Inbox, etc. Even better, you can trigger messages in response to individual user actions. For example, if a media app user begins to upgrade their account from a free trial to a paid subscription, but doesn’t complete the process, send a personalized push notification the next day, including their name and a deep link to the subscription screen. If they don’t engage with the push notification, send an email with a discount on the first month or reminder of premium features to incentivize conversion. Regardless how you compel users to convert, you need to make sure you persuade them effectively. Our favorite tactic: emotive messaging. 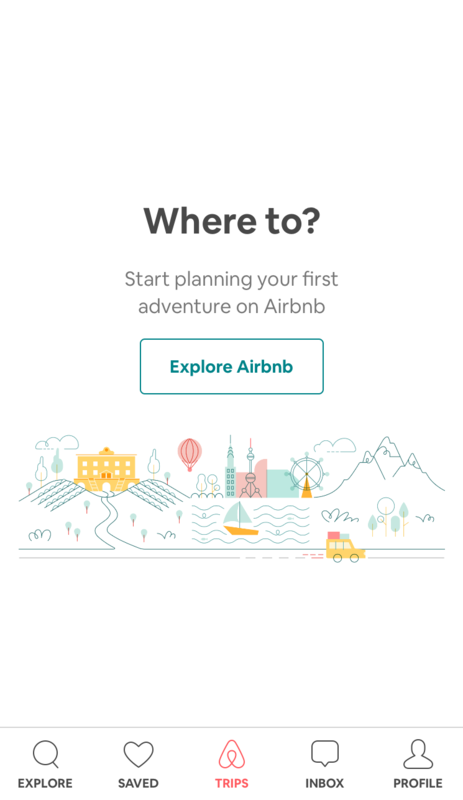 ‍‍Airbnb uses emotive messaging to inspire users to embark on their next adventure. Users don’t need another reason (boredom) to abandon your app. Strong, compelling product copy is as important as anything else—like timing, channel, personalization—in the user experience. So don’t skimp on creative content. Make great onboarding even better by using power words in your UX copy to enhance a user’s first impression of your app. 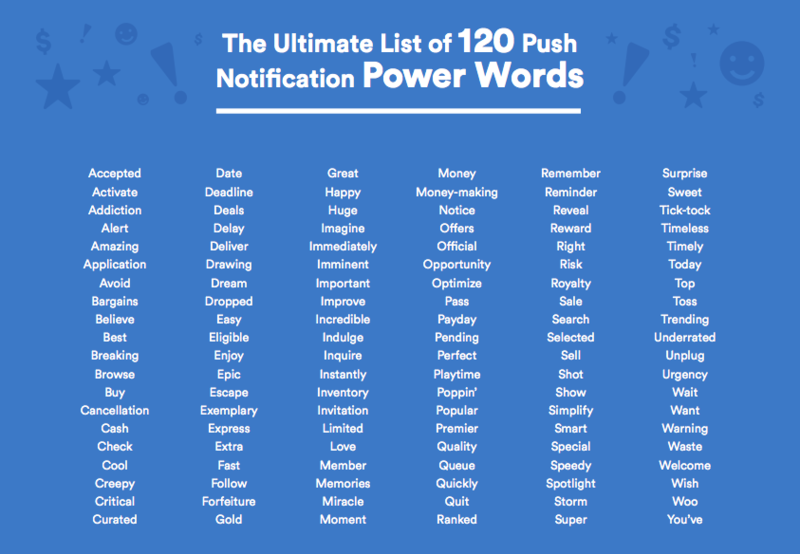 To get more power words insights, download the Leanplum guide to Push Notification Power Words, today.